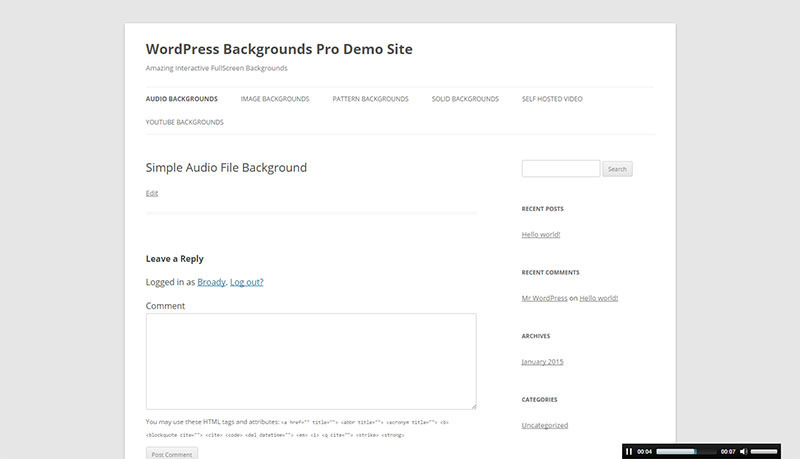 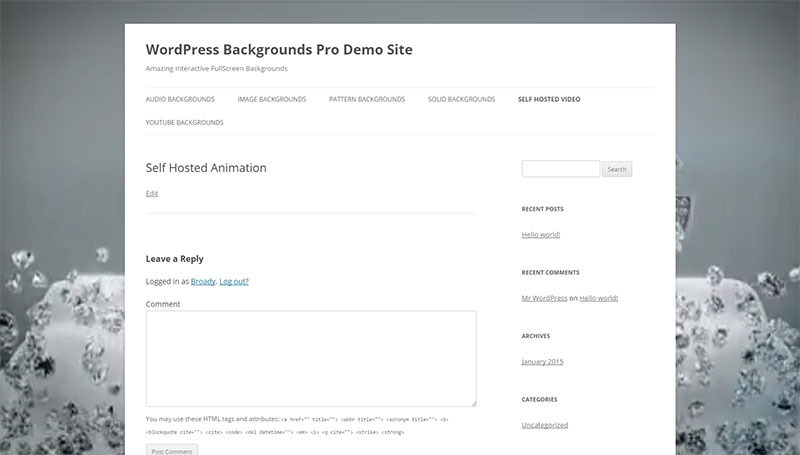 WordPress Backgrounds Pro allows you to display selected audio / images / slideshows / patterns / self hosted videos & YouTube videos as the website or page background, without the need to edit the theme. 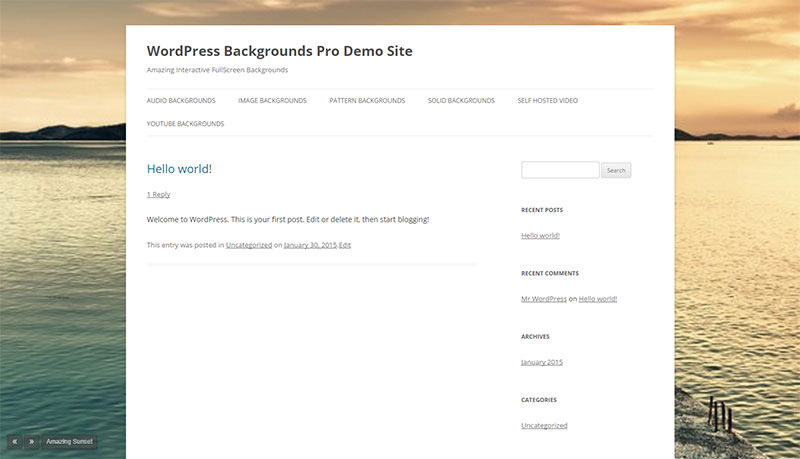 These backgrounds are displayed as fullscreen backgrounds and compliment any WordPress theme. WordPress Backgrounds Pro allows you the ability to create 6 different types of backgrounds that can be applied to your site homepage or any blog post or page and even custom taxonomies. 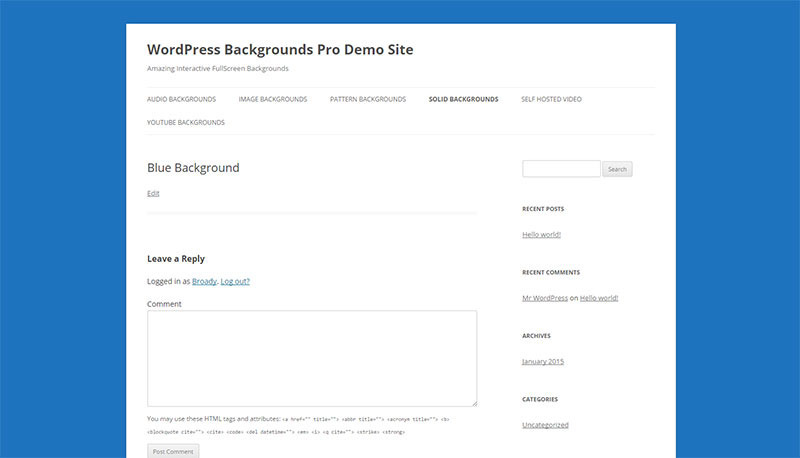 WordPress backgrounds Pro is your number one solution for having full page interactive backgrounds on your site. 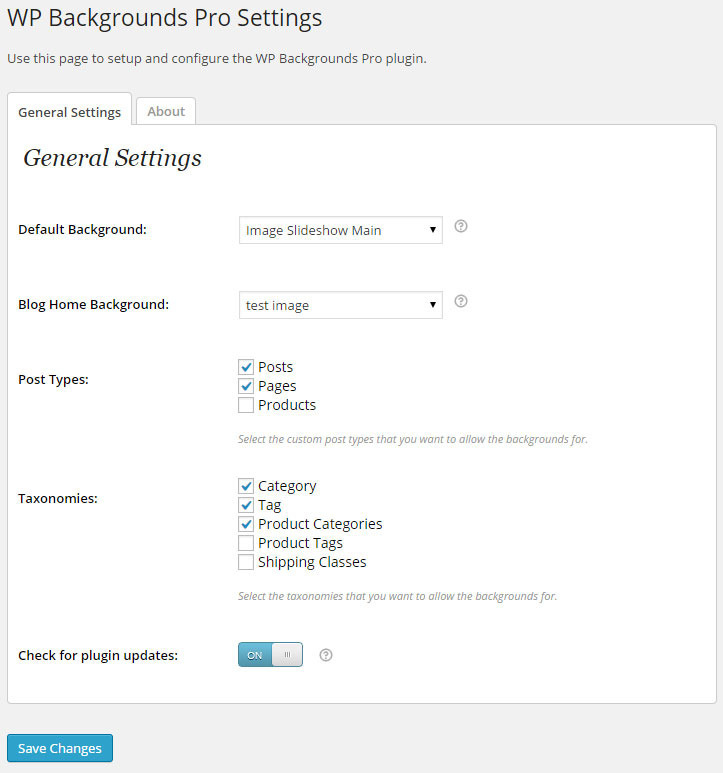 You can set a background set for your theme homepage, blog & standard pages as well as custom taxonomies. 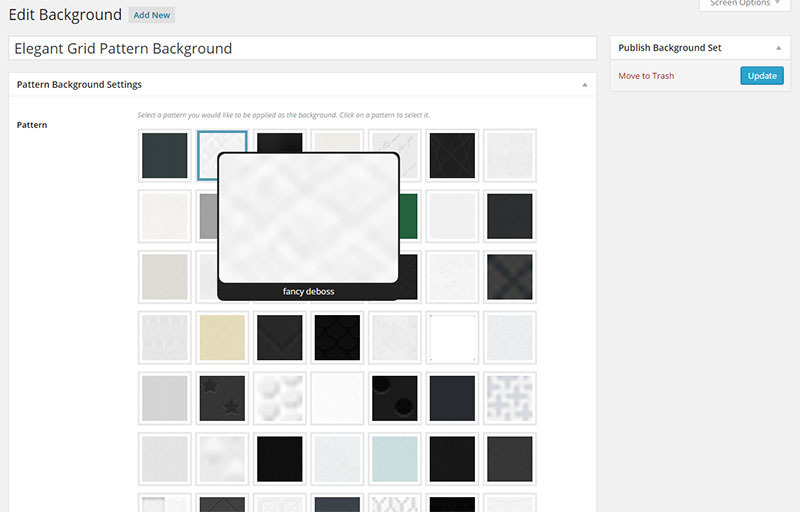 You control the options for each different background type. 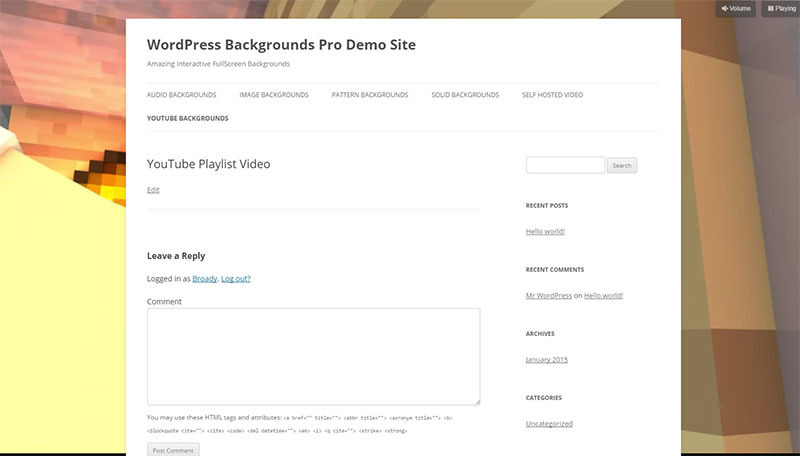 Don’t want the video controls to appear when displaying YouTube Video backgrounds? 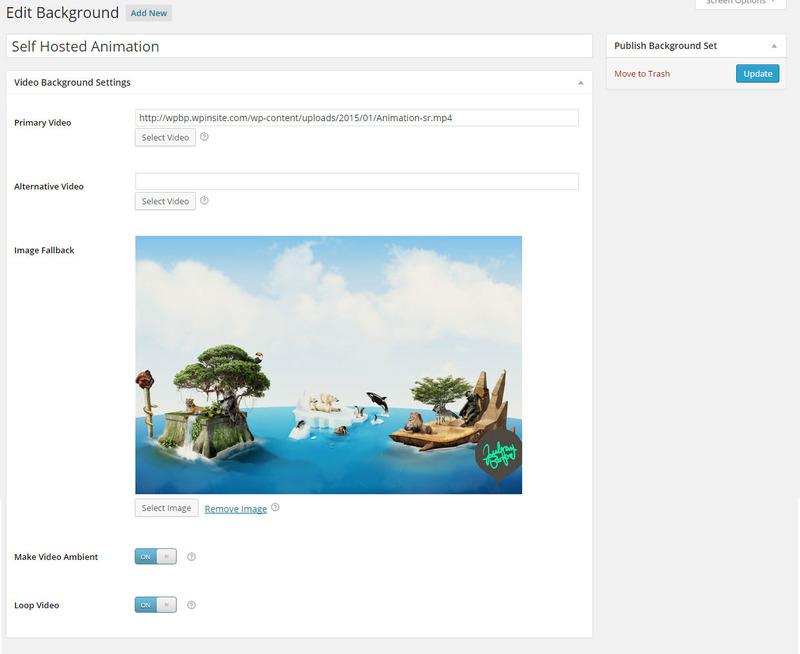 Simply disable them in the easy to use plugin Control Panel. 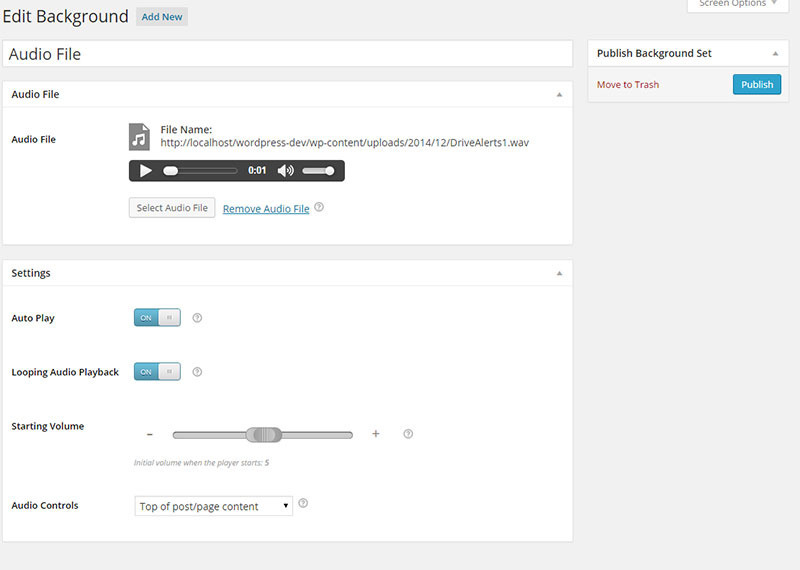 Don’t want the audio controls to display in the bottom right corner of the browser window? 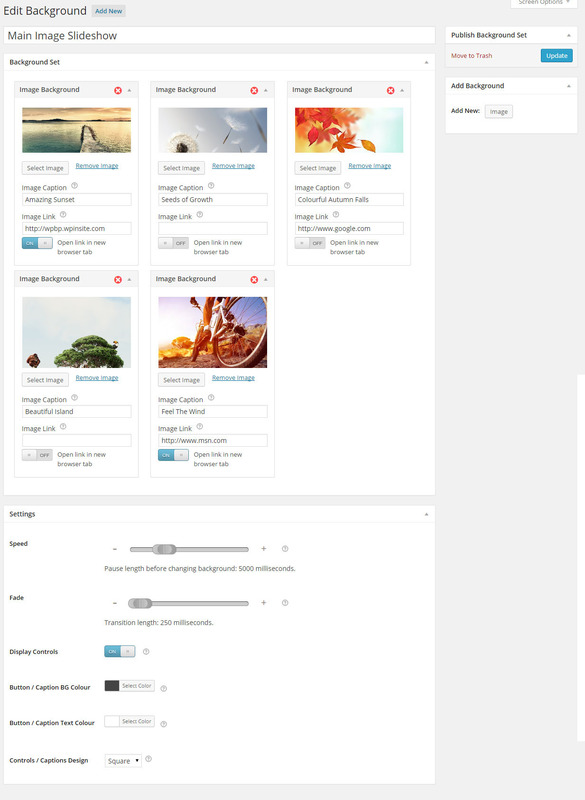 Move them to a possible you desire. 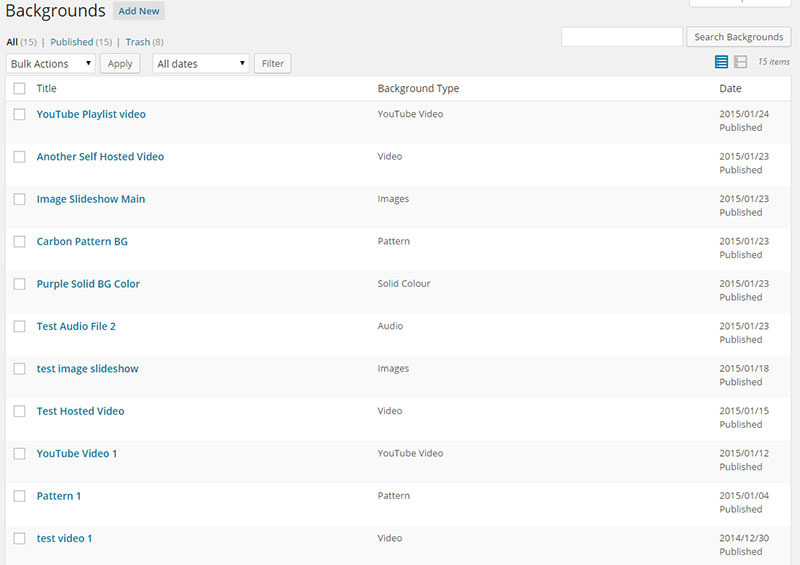 You also have the ability to change the button colours & text font colours! 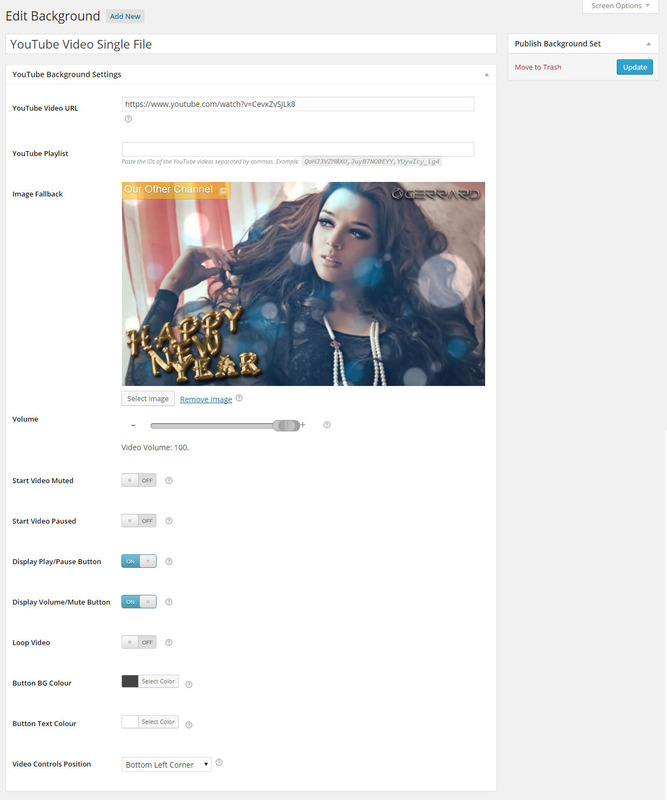 The plugin has been developed to he highest quality standards and tested in all major modern browsers.